WCCLS: News & Events: Hillsboro Public Library offers Shelf Help - reading recommendations just for you! 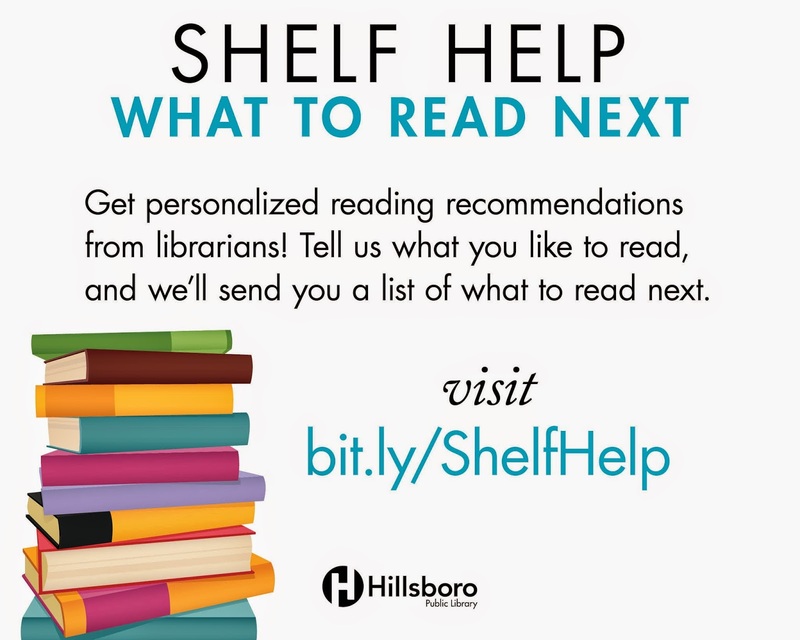 Hillsboro Public Library offers Shelf Help - reading recommendations just for you! Hillsboro Public Library librarians would love to help you find your next great read! Tell them a little about what you enjoy reading, and they'll send a selection of reading recommendations. Turnaround time for suggestions is four days. What books or authors have you enjoyed? What are some authors or titles that you DID NOT like and why? What are you in the mood to read next? Let Hillsboro Library provide some Shelf Help!